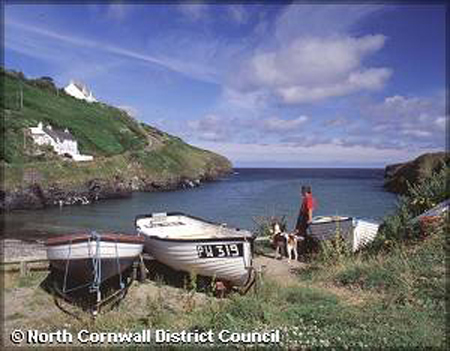 The small vibrant fishing village of Port Isaac is one of Cornwall's most well known and popular holiday destinations. The picturesque fishing village lies on a stunning stretch of coastline, midway between Polzeath (and the Rumps headland to the west) and the ever popular village of Tintagel Much of the coastline and surrounding countryside of Port Isaac is designated as an Area of Outstanding Natural Beauty and Heritage Coastline. Most of the old centre of the village consists of 18th. and 19th. Century cottages, many officially listed as of architectural or historic importance, along narrow alleys and 'opes' winding down steep hillsides. 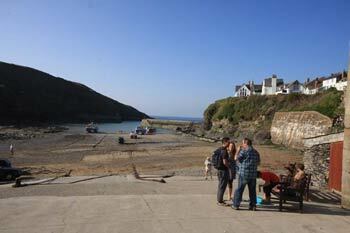 In recent years at Port Isaac has become very popular due to its on going association with TV and film. 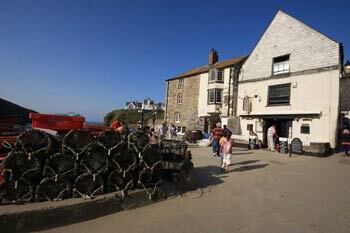 People flock to the village to wander through the narrow winding streets that lead down to the harbour. Port Isaac has many traditional white washed cottages and granite slate fronted houses, the village has many properties of historical importance. Port Isaac also has one of the narrowest alleyways in Britain, Squeezy Belly Alley, located just off the Platt at the edge of the harbour, it is a very narrow thoroughfare leading away from the seafront. The Village of Port Isaac, was frequently used as a 'set' for filming the Poldark series, and 'Nightmare Man' where it was beautifully depicted albeit as a village in the Hebrides! 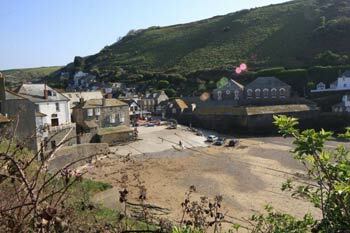 More recently the Port Isaac has become associated with the TV series 'Doc Martin' ( in which Port Isaac was transformed into the fictional Port Wenn) and the Film ' Saving Grace'. Doc Martin a British television comedy drama starred Martin Clunes as a doctor whose tactless manner causes mayhem in the small Cornish community of Port Wenn. 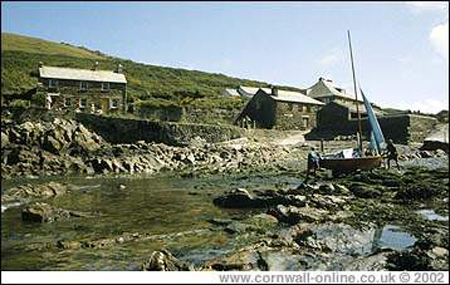 Created by Dominic Minghella, The series was filmed on location in the village of Port Isaac, North Cornwall, with filming of most interior scenes and production carried out in a converted barn at a local farm. Martin Clunes plays surgeon Martin Ellingham, whose glittering career comes crashing down around him when he develops a phobia which prevents him conducting operations. Saving Grace was a comedy/crime film, starring Brenda Blethyn, Craig Ferguson and Martin Clunes filmed in 2000. After Grace Trevethyn's husband commits suicide, he leaves her in economic ruins, Grace left by herself is now facing loosing her house because all the money her husband owed. Together with her gardener she uses her plant-cultivation ability to grow marijuana. Amy Foster or Swept from the Sea has it was called when released in America, is a 1997 movie based on a 1903 story, Amy Foster by Joseph Conrad. It stars Rachel Weisz, Vincent Perez, Ian McKellen, Kathy Bates and Zoe Wanamaker and was directed by Beeban Kidron. The story concerns a Russian, unable to speak English but able to play chess, shipwrecked on the coast of Cornwall on his way to America. Neighbouring Port Gaverne developed in the nineteenth century as a slate, coal, limestone handling port where shipbuilding also took place - the large buildings have all been converted into holiday accommodation. At low tide there is small, sheltered, sandy beach with an abundance of rock pools which is probably the safest beach in North Cornwall for small children. Slate from the nearby Delabole Quarry was loaded here into the heavy sailing sea ketches which were broad enough to rest upright on the beach between tides. This is now a peaceful spot with little commercialisation. The neighbouring village of Porth Quin, to the West of Port Isaac, is a quiet, peaceful hamlet with no shops, no public toilet - not even a tea room! -- people usually pass through the village whilst following the "Postman's Path" walk from the harbour in Port Isaac. The walk starts at Roscarrock Hill Lane. You follow the Postman's Path across the headland into Port Quin. 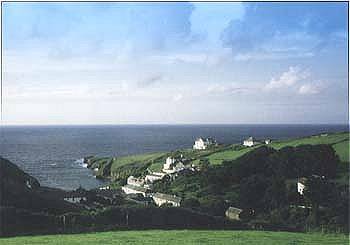 At Port Quin you join the coastal footpath to Kellan Head. The footpath is a "roller coaster" of climbs and descents as you make your way east to Lobber Point - as you follow the coastal path through Downgate Cove, Reedy Cliff and Greengarden Cove, to Pine Haven Cove ( ideal spot from a picnic or a swim!). From Lobber Point the path leads you back into Port Isaac, with classic views of the harbour. The walk is perfect for a sunny afternoon, but you need to take food and drink - and be aware that it is strenuous in places - particularly the climb up the steep steps at Reedy Cliff. 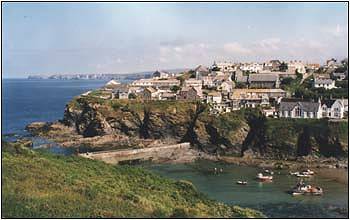 Port Isaac Online has 40 Holiday accommodation Rentals listed in Port Isaac . Book your next Holiday near the stunningly beautiful North Cornwall Coast, we are located in Port Isaac , with the benefits of sea views . North Cornwall is the ideal British holiday destination with many local beaches, nearby - ideal for a break or a family holiday at any time of the year. Holiday Cottage in Port Isaac, sleeping 6 people,Dolphin Cottage is a cosy, 3 bedroom, holiday cottage sleeping 6 with sea views and parking for 2 cars, only 5 minutes walk from the historic fishing harbour in Port Isaac. The village is renowned for its excellent restaurants offering locally caught seafood, including Nathan Outlaw�s Fish Kitchen and award winning Restaurant. Recently made famous internationally as the home of Doc Martin, it remains stunningly picturesque and unspoilt, and is the perfect location from which to enjoy Cornwall�s attractions. Surfing at Polzeath is 5 miles away. For a fantastic holiday - close to the North Cornwall coast, based in St Minver . 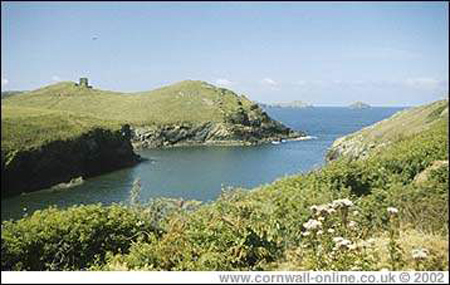 North Cornwall is an ideal holiday destination for a short break or a family holiday - at any time of the year. Tregwormond Grange is a working Arable Farm. The farmhouse has far reaching views over open countryside and is situated within short distances of Rock, Polzeath, Port Isaac and Wadebridge. Enjoy a relaxing holiday near the beautiful North Cornwall coast, by staying in Port Quin , nr Port Isaac , with the benefits of sea views . 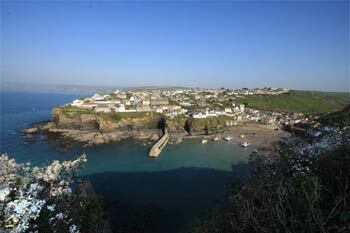 Come and Enjoy the magic of the coastline in and around Port Isaac and the North Cornwall coast. A beautiful Victorian gentlemans residence built turn of 19th century with restored gardens and grounds over 4 acres. 14 elegant bedrooms Stunning panoramic sea views. Ideally located for exploring all that Cornwall has to offer. Book your next Holiday near the stunningly beautiful North Cornwall Coast, we are located in Port Isaac , with the benefits of sea views . At Roscarrock we can also cater for larger groups if required, please contact us for details. North Cornwall is the ideal British holiday destination with many local beaches, nearby - ideal for a break or a family holiday at any time of the year. Self-catering cottages sleeping 2-9 people. Between Port Isaac & Port Quin. The backdrop to Port Wenn in the Doc Martin TV series and was Nampara in the Poldark TV Series. Five Holiday Cottages - sleeping 2 to 9 people. The ideal Rural holiday retreat, offering en-suite holiday accommodation, situated in Port Isaac . Come and Enjoy the magic of the coastline in and around Port Isaac and the North Cornwall coast. B&B stays in a stunning coastal location - with easy access to the coast paths an ideal base for walkers or visitors simply wanting a relaxed holiday. This picturesque cottage retains its original 18th. Century style and atmosphere whilst combining every modern convenience. Bed and breakfast stays in Two beautiful en suite bedrooms.